Seniors are faced with the reality of taking multiple medications on a daily basis, and it’s not always easy to follow the doctor-prescribed schedule. For the elderly, forgetting to take medication is a common concern. But, it shouldn’t be a point of stress! Having someone assist you or your loved one with medications allows for maintaining health and wellness, which is our goal. Caregivers from Home Care Powered by AUAF can assist with medication reminders and management, as well as prescription pick-up. Remembering to take your medication is difficult for many people, but even more so for the elderly. It’s just one more thing to keep track of, and it can be confusing and frustrating. Our in-home caregivers can keep track of which medication, how many, and when to take them. They can help you or your loved one remember to take the right medications, at the right time, in the right dosage. 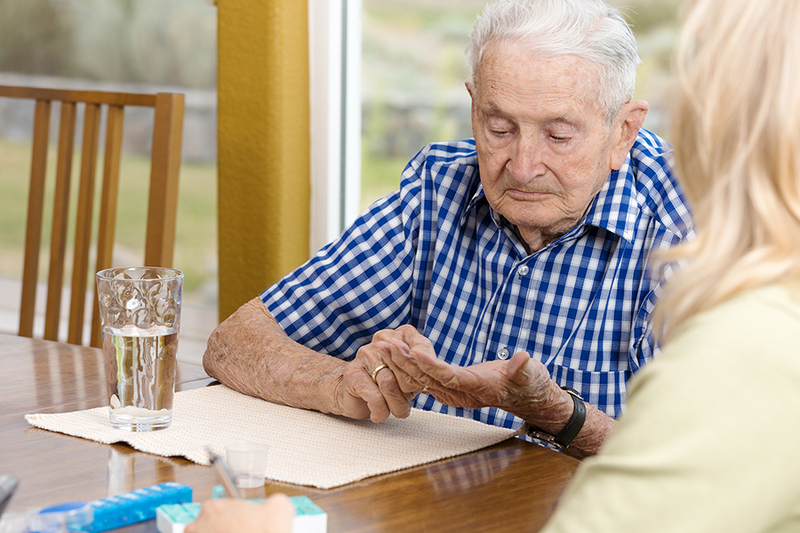 Medication management is one of the most important tasks seniors face. Our in-home caregivers can assist in making that task more manageable. Taking multiple medications, on different days and at different times, with or without meals, can lead to missed refills and so much more. Caregivers can help organize the medications so that it is easier to remember what time to take each medication as well as how to take it. They can track when a refill is needed and even make the request. Our in-home caregivers can create a checklist, assist with medications that have been pre-selected by you or your loved one, a nurse, family doctor, or a pharmacist, and set weekly or monthly reminders depending on individual needs. Seniors who have health and mobility issues cannot easily get to a pharmacy to pick up the medications they need. Our in-home caregivers can assist in facilitating medication pickup and drop off. Our core mission is to ensure our clients’ healthy lifestyle and well-being. Call us today at 877-947-2685 and ask how Home Care Powered by AUAF can help with your medication management needs.